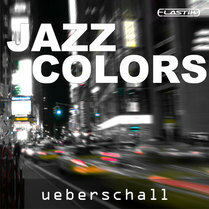 Jazz Colors features 20 jazz-flavoured construction kits comprising over 3GB of sample data, spread across some 1400 samples. For those new to Elastik-format libraries, it’s worth restating that, despite its small footprint, this front end provides a very neat and easy-to-use means of pitch- and tempo-matching loops, as well as offering a few more creative possibilities, such as filtering. In line with some of the other recent Elastik-based titles (for example, Indie Rock), the construction kits here all provide between four and six sub-sections. These generally include an intro, between two and four main sections, and an outro. This is an improvement over some construction-kit-based titles, as it makes it easier to piece together a complete song structure. Style-wise, this is quite a mixed bag. A number of the kits offer traditional smooth jazz styles, such as ‘All Love’, ‘Driving’ and the bluesy ‘Mirrors’, but the feel takes on a little more swing in kits such as ‘Sky Scrapper’ or ‘Waking Up’ (the latter of which also features some nice George Benson-style guitar work). The instrumentation for all these kits is exactly what you would expect: brushed drums, upright bass, piano, guitar, dreamy sax and the occasional B3 organ. Some of the kits are a little funkier, such as ‘Down To Earth’ or ‘Smooth Seven’, both of which feature some nice slapped electric bass, and ‘Latin Eyes’ with its nice percussive piano work (although, personally, I might have managed without the flute solo). More experimentation creeps into kits such as ‘Backstage’, which has a fusion/progressive feel to it and includes some synth lines: probably not for the jazz traditionalists! Within each song sub-section, each of the key instruments is provided as a separate loop. In addition, the drums are presented in a multitrack format with kick, snare, hi-hat and overheads. These are also provided as separate loops, so you can rebalance the kit, should you so wish. Throughout, the playing and recording is to a very high standard. While the kit format and performances are both good, the library is perhaps not quite as easy to use as some other Elastik titles (such as, again, Indie Rock). Despite the provision of song sub-sections — each of which is a few bars in length — improvisation plays a big part in instrumental jazz, and as each sub-section features just one version of the solo line, a little repetition soon becomes obvious. For a media composer creating a 30-second cue, this is probably not a big issue, but if you’re working up a more extended piece, you’ll need to layer your own lead lines over the backing materials. That said, Jazz Colors does contain some pretty cool backing tracks, so if you fancy something to blow over, this may well be your thing.